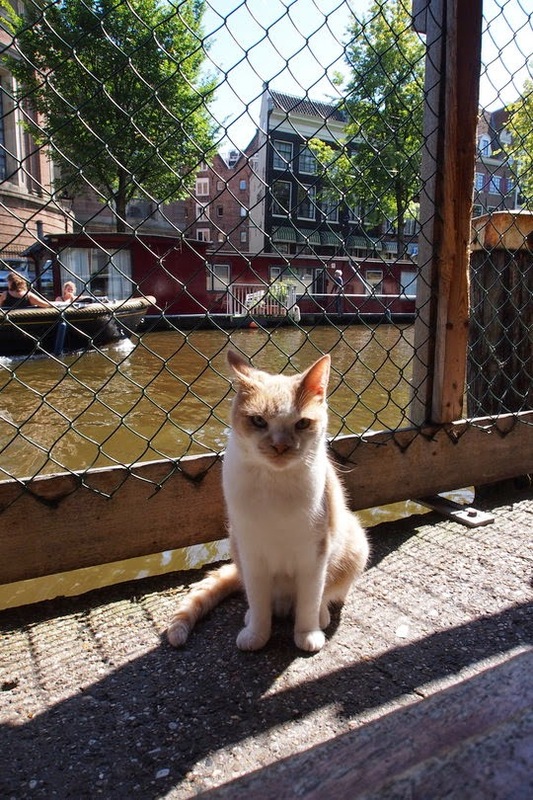 No trip to Amsterdam is ever complete without a visit to the famous Poezenboot, known in English as the cat boat. This floating cat sanctuary, located on a boat in Amsterdam's picturesque canal belt the Singel, is one of the city's main tourist attractions. It's been on my bucket list ever since I first heard about it and I finally had the chance to stop by this past Tuesday. Seen a kitty you like? Know that most of them are available for adoption. 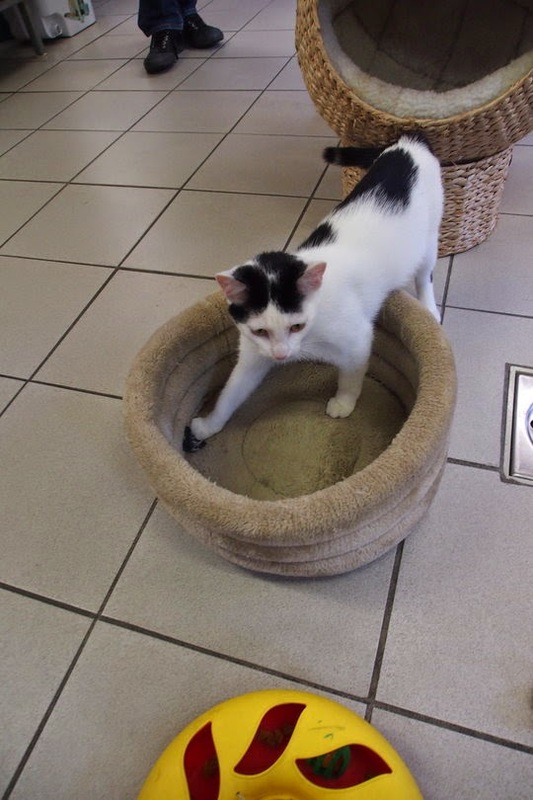 Those that remain at the cat boat can be financially supported. 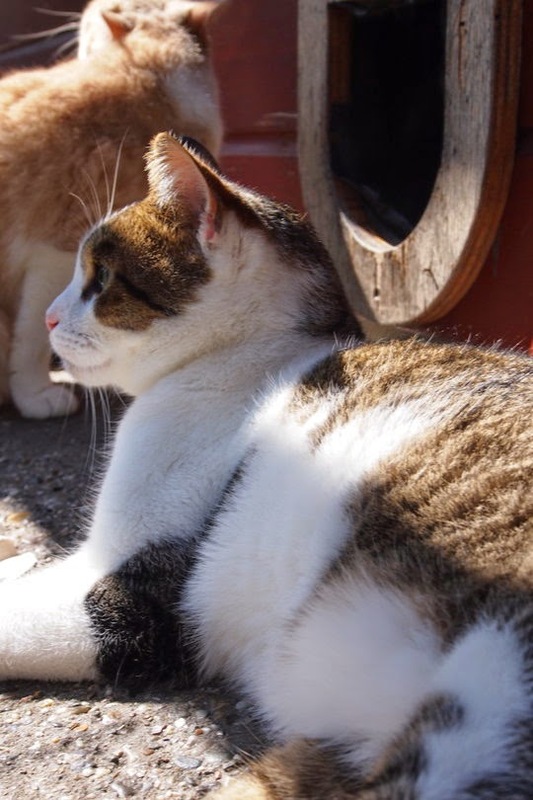 Find out more about the cat boat in Amsterdam here. 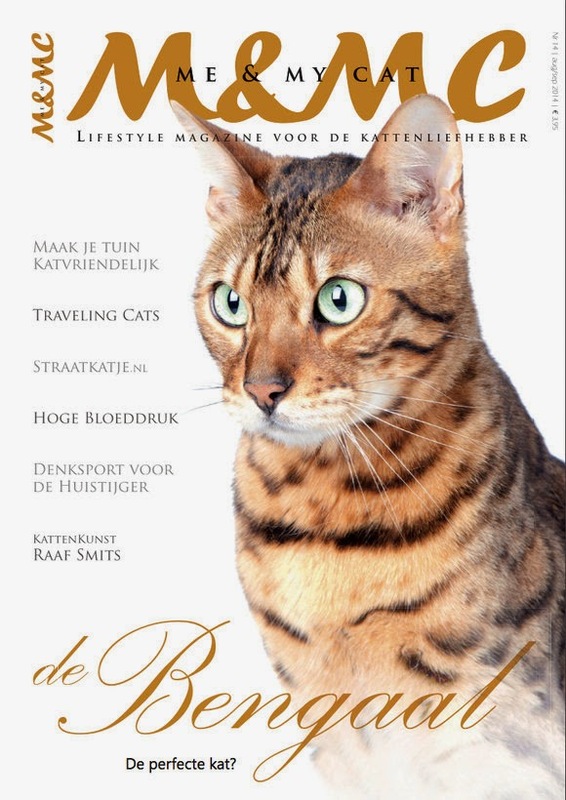 In other news, Traveling Cats is featured in the August/September edition of the Dutch cat magazine Me And My Cat. Be sure to get a copy if you have the chance. More press clippings here. Such a nice, nice bunch of sweeties! How awesome to have a cat boat sanctuary. That is a mighty fine catio there. Have a tremendous Thursday. I wonder how long it's been there. I was in Amsterdam many years ago but never heard of it at that time. Lovely pix. I reckon only in the Netherlands!! Gorgeous kitties! How neat! I have never been to Amsterdam, sadly, but this looks like my number one tourist spot if we make it there. What a great looking group of kitties. Amsterdam looks beautiful!! So many kitties in so many shelters all over the world. So many. My, my, those Amsterdammer cats look snarky. I enjoyed the Cat Boat. Saw a couple tuxedos. It seems like a friendly place. I've never heard of this place. How neat! What a wonderful place for kitties! I'm happy for you that you were able to go. Congrats on the magazine feature! I'd like to adopt them all! what lovely kitties. our mommer wishes she could visit there! Dat's pawsum 'bout yous feature. And those awe sum pawsum kittys. Weez suwe hope they get homes weally soon. That looks such a great place. I'd love to visit there if I have a chance to go to Netherlands! How cool is that? And it looks so clean. What a great environment for the kitties. Let me know when Avalon comes out, I'd love to a blurb and cover on the blog. I didn't know that boat existed - my favorite pic is the one near the canal, such a grumpy face ! Oh I love the kitty in the basket. SO sweet! 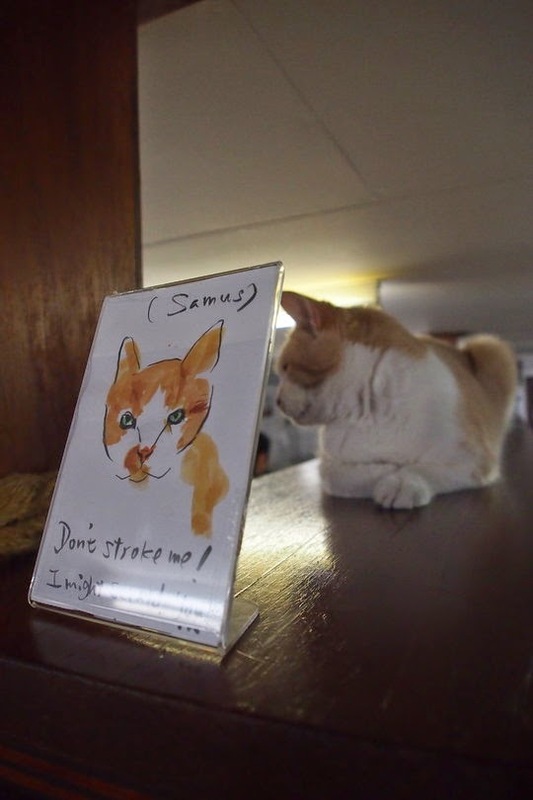 Nice cat sanctuary and lovely photos! Congratulations Vanessa for the Dutch cat magazine! Un joli refuge sortant de l'ordinaire. Et félicitations pour la parution dans ce magazine. I want to go to the cat boat! I hope they all find homes! Happy Thoughtless Thursday. Nice photos! The cat boat! That is so sweet. I was going to ask if it was a rescue center. On a boat - I love it. Congrats that your blog was mentioned in the magazine. Intéressant ce refuge flottant ! Une beau reportage ! Et bien sécurisé pour que les minets ne tombent pas dans l'eau ! Bravo ! Hope you've had a good weekend, Vanessa. So cool! I love hearing about interesting cat sanctuaries! Never heard of one a boat. All of those kitties are just beautiful - hope they find homes soon! What a great initiative. I had never heard of it before. What an interesting place. I love cats and could just cuddle them all up. Thanks for sharing at Wake Up Wednesday!